The information presented on the Illes Investment Banking website is suited to middle market companies. It has been designed for those who have an interest in M&A activities — specifically those related to sell side, buy side and capital raise engagements. 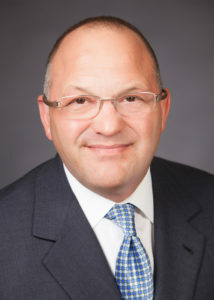 John Illes has both investment banking expertise and senior executive management experience. He has been an Investment Banker since 2011 and before that he held senior executive positions in a variety of industries in the USA and Europe. His “roll-up-your-sleeves” experience has taught him how to manage the need to keep a business operating smoothly while also achieving sales and profit goals. He understands the daily pressures of running a business since he has experienced those pressures himself. It is this unique background that gives him a pragmatic perspective to the M&A process and that helps build a valuable bridge between owner-operated businesses and institutional and strategic investors. John is Managing Director with Merit Harbor Capital and he works with them for all investment banking activities. He specializes in three market areas; consumer goods, manufacturing, and government services and defense. His Broker Check Report can be accesses via the link provided in the footer of this page. John earned his MBA from the Cox School of Business at Southern Methodist University and he holds a Bachelor of Science degree in Public Affairs from Indiana University. He is a Six Sigma Green Belt and a Certified Merger and Acquisition Advisor with FINRA Series 24, Series 62, Series 63 and Series 79 licenses..
John is a member of the Alliance of Merger & Acquisition Advisors (AMAA) and is a founding member of the Nevada/Utah Chapter where he served as judge for the 2017 AMAA Thought Leader of the Year award. He is also a founding member of the Southern Nevada Chapter of the Exit Planning Institute (EPI). Merit Harbor Capital is comprised of a client-focused team of experienced advisors with deep expertise in a broad range of industries. Like traditional investment banks, our team members are experts in their verticals. Unlike traditional firms, our personalized approach means our investment bankers take the time to know your business and devise a strategy tailored to yield the best results. We set our sights on the long-term goals of your company – and we provide the personalized service to assist every step of the way. Our expertise includes: mergers & acquisitions, capital raises, corporate finance, debt financing, transaction support services, corporate valuations and strategic partnerships & joint ventures. We have involvement with the following industries; business services, construction/trades and building supply, consumer & retail, energy & applied technology, oil & gas and mining, food & agribusiness, healthcare, pharmaceuticals & biotech, industrials, manufacturing & distribution, real estate, gaming & lodging, technology, media & communications, and transportation logistics. Merit Harbor Capital is a boutique investment banking firm with more than 100 middle market M&A deals to their credit. Merit Harbor Capital brings advice, strategy, and best-in-class M&A processes that deliver results. So whether you are ready to sell your company, to buy a company, or to raise capital to grown your company, the team at Merit Harbor Capital can help. A list of past and current clients include: Pro-Vac, Skycast and Stone Fire Grill. Merit Harbor Capital is a Broker/Dealer member of FINRA/SIPC.